Jim and I saw the Neil Marshall helmed, David Harbour starring 2019 reboot of Hellboy. And it's the definition of a mixed bag. Sporting an impressively low 11% fresh rating on Rotten Tomatoes, Jim thought the movie was bad, but I borderline loved it. I have no explanation for my critical disparity, and I can see the issues with plot and humor that Jim and others are expressing but... I've seen a helluva lot of worse movies this year get better reviews. Am I losing my touch? 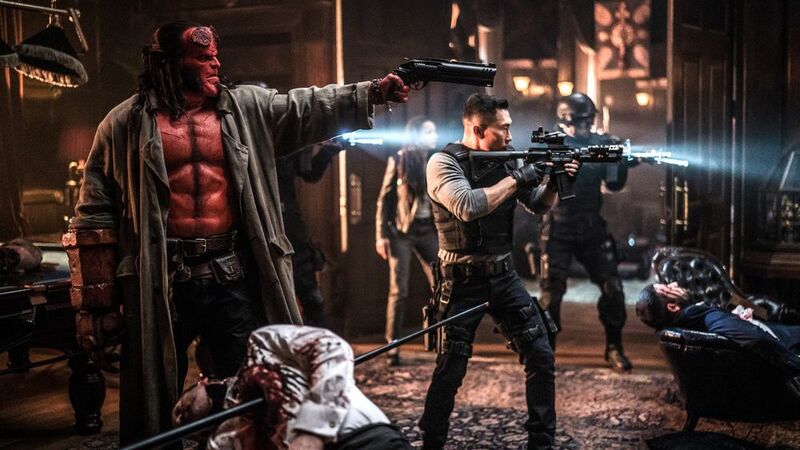 Or do you just have to be a die hard Hellboy fan to admire what this movie has to offer? It's a damn shame, because while I think everyone can agree that Harbour makes an excellent Hellboy, the movie isn't likely to get the sequel his casting deserves.